Regina Gurland may have passed the century mark, but she's not slowing down. She drives, socializes, walks her dog … and faithfully reads Mayo Clinic Health Letter. Regina Gurland looked at her copy of the Mayo Clinic Health Letter and burst out laughing. 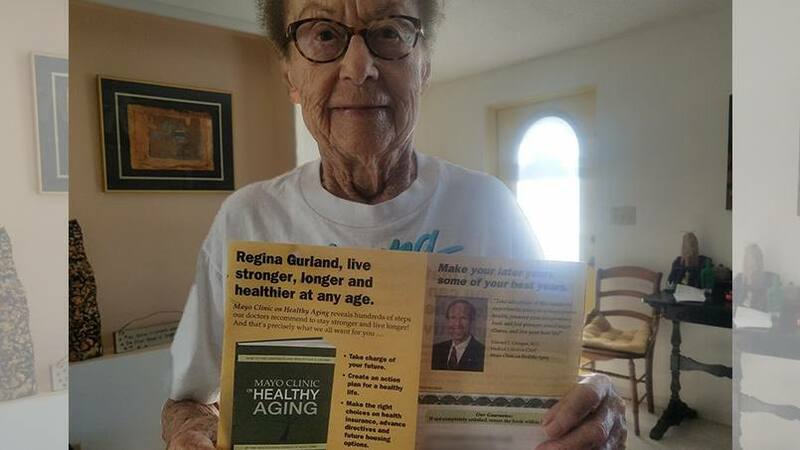 "Regina Gurland, live stronger, longer and healthier at any age," promised an ad for Mayo Clinic on Healthy Aging. "I thought it was hysterical," Regina tells us. At 101, Regina doesn't need to buy a book on aging well; she could write one. She still lives alone in her own home, still drives where she wants to go, and still more than holds up her end of a conversation. And that's only the beginning. "She's extraordinary," says Betsy Wenzel Marple, one the many admirers who frequently stops by Regina's Longboat Key, Florida, home. "It's not, 'Let's go see the poor old lady.' This woman is the party." The secret to aging well, Regina tells us, is to find your passion and pursue it. She found hers some 40 years ago, after the life she was living — as a wife, mother and director of a school lunch program — began to feel stale. "I started to think, 'There has to be more to life than this,'" Regina says. "So I signed up for a clay course." Her instructor insisted she submit a piece to a student art show, and Regina took first place. "That made me realize I must know how to do this," Regina says. 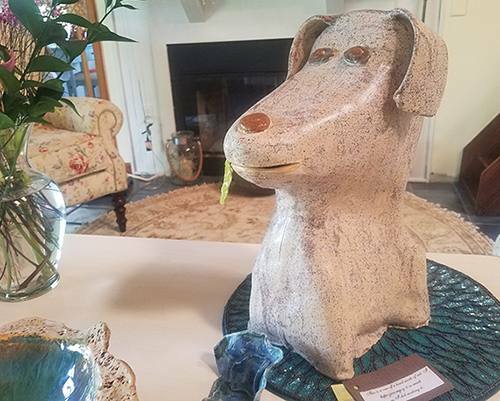 In the years since, she's traveled across the country and around the world to take classes and exhibit her work, and she still spends an hour or so most days working in her garage studio. She's given up her pottery wheel ("too confining") and now hand builds clay animals and insects, vessels and serving pieces. "It's kept my brain going," Regina says. "I still love it." Regina has a host of other healthy habits as well. Her Shih Tzu, named Et Tu, keeps her company — and keeps her moving. "We walk every morning at least a half an hour, then another 15 to 20 minutes to get some sun in the afternoon," Regina says. She eats well, consuming "loads" of fresh fruits and vegetables, and avoiding processed and red meat. She cooks and bakes, and is known for her baguettes. "I make eight loaves at a time, so I have them to hand out," she tells us. "When I bake bread, everybody looks at me with their tongues hanging out." And she socializes, including hosting a Sunday evening happy hour for friends. "They traipse in for margarita time," Regina says. "They'll bring goodies. We sit, have nibbles. I have wonderful neighbors. I'm very lucky." Not long ago, Regina was starting to think that luck might be running out. She'd been feeling dizzy and short of breath. Then she read an article about vitamin supplements in the Mayo Clinic Health Letter and realized the supplements she was taking might be doing her more harm than good. "I stopped taking the vitamins, and I don't feel like I'm 101 anymore," Regina says, adding that she "started getting smart" in her "old age" and began subscribing to the health letter a few years ago. "Every month I read something that might apply to me," says Regina, who passes the newsletter on to friends after she’s read it. "Tell those doctors to keep doing what they're doing." And you keep doing what you're doing too, Regina. You can read more about Regina here and here. Then traipse on over to leave a comment below before using the social media tools atop this page to share this story with others. Subscribe to the Mayo Clinic Health Letter.